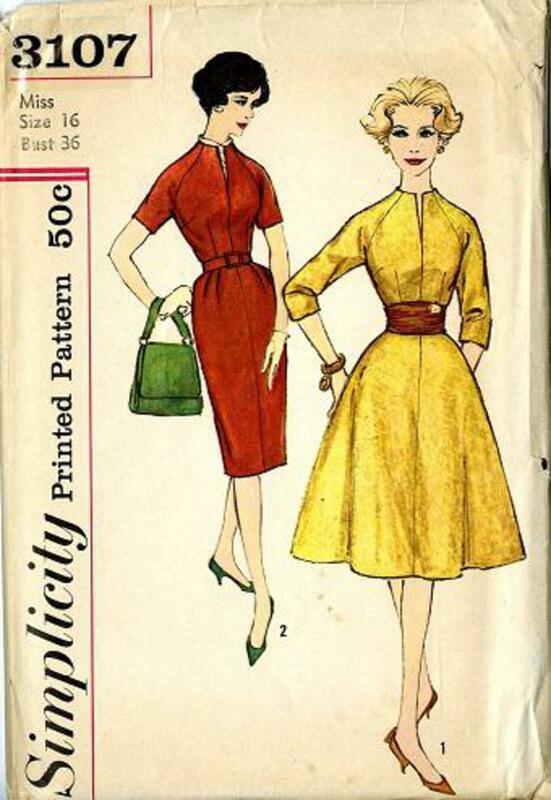 1959 Simplicity #3107 vintage sewing pattern, misses' dress with slim or full skirt and cummerbund, plus size 16. 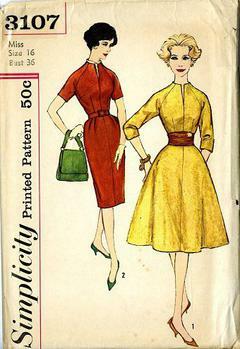 Dress has a raised neckline with front opening and raglan sleeves. Flared skirt is 4 gored with contrasting gathered cummerbund. Sheath dress has slim skirt with soft pleats at front waistline and back kick pleat.